Through selfless volunteering, each of us discovers parts of our “self” that we did not know existed. We are a group of devoted volunteers in the Washington D.C. area, spreading Tzu Chi’s spirit of Great Love through charity work. Based in an elegant, highly functional building in Reston, Virginia, the Washington D.C. Regional Office supports volunteer groups in Montgomery County, Maryland; Baltimore; and Northern Virginia, respectively. Several liaison offices in neighboring areas are also set up in Richmond, VA; Raleigh, NC; and Charlotte, NC. Covering a wide geographic area along the mid-Atlantic coast, our network of volunteers is composed of approximately 500 members, who are talented, highly educated, and diversely skilled professionals. At any given time, you can find us undertaking various charity projects. We could be preparing dinners for ailing children and their families hoping to find a cure; distributing school supplies to young students who desire to learn; handing out hot coffee and sandwiches to the hungry homeless; and giving away winter blankets to those shivering despairingly in the cold. We feel blessed to be able to help the community, our hearts filled with peace and joy which keeps us young, active and energized. Furthermore, through selfless volunteering, each of us discovers parts of our “self” that we did not know existed – for some, photography skills to take vibrant pictures; or a culinary flair that can turn food into a gourmet meal; perhaps a singing voice that can touch souls; or a pair of caring hands that can comfort the wounded. Individually, we each found our new potential unexpectedly, and collectively as a Tzu Chi family, we can then reach out further to those in need. 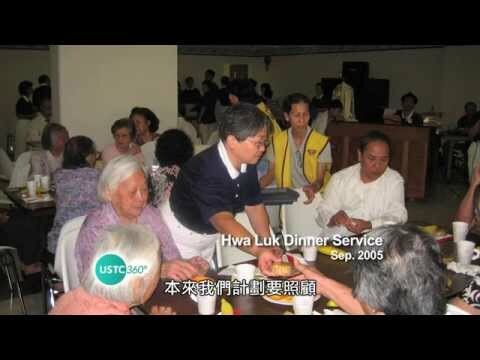 Come join Tzu Chi’s volunteer family. You will make a difference, feel fulfilled, and discover the talents hidden deep inside you!